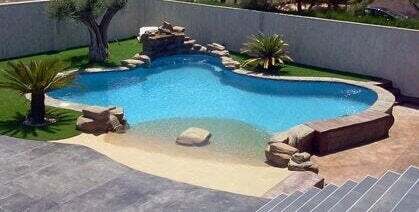 Turn your backyard into a place to wind down and relax by creating a mini-beach with real sand and a pool. Create Your Own Backyard Beach Bar! 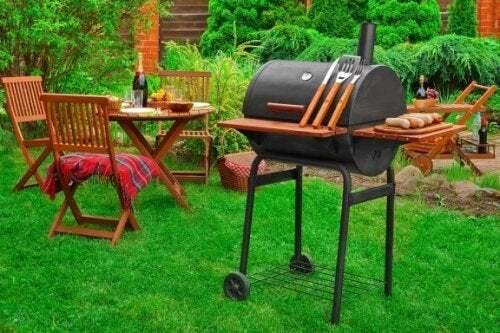 There are tons of things you can do with a backyard space. For example, you can make it into a space full of nature, your relaxation area. 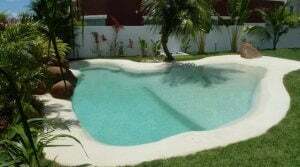 Along those lines, instead of having a regular pool, you could install one with sand. In other words, you could make yourself a backyard beach: an oasis right at home. People who live inland always dream about going to the beach, even if it’s only once a year. Wait, but why not bring the beach to your backyard and enjoy it all summer long? 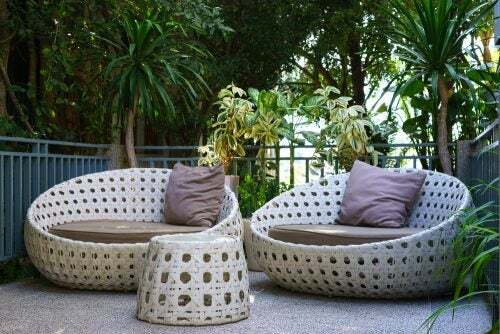 It’s a great option if you’re looking to give your yard a special touch. Obviously it won’t be just like a real beach, but there are some simple, direct ways to imitate that feel. You could even make your own beach bar and give it beach town decorations. The main goal here is to give yourself a personal area to wind down in, just for you, your family, and guests when you want to have them over. 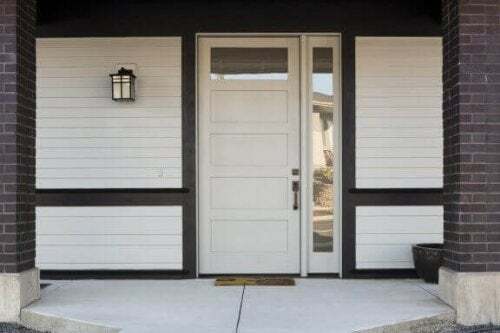 It’s also a great way to make your house stand out whenever a guest comes by. Outside of the artificial beach, you also need to have some grass in the area around it. 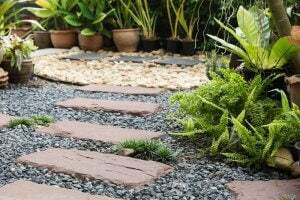 Another great way to decorate the area is to put some stones in the ground as a walkway. You should also try to keep your grass healthy, green, and spongy. We also like the idea of wooden walkways with plants to each side, which will also make the space feel refreshing. It’ll be like the docks and walkways you see at a beach. You should definitely get umbrellas with wooden bases and straw or canvas tops. 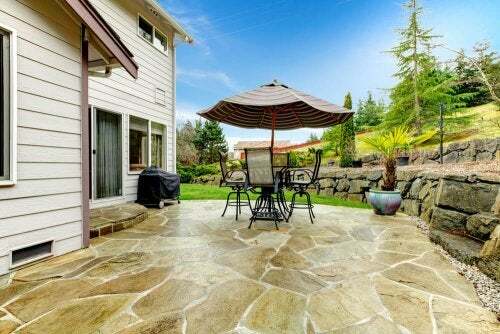 In the end it doesn’t matter too much what they look like, as long as you have shady areas in the yard. Don’t forget to add some deck chairs, either. You can also use the space at night, so you’ll want to have some kind of warm, relaxed lighting, too. There are lots of good reasons to use your backyard beach, whether day or night, so make sure you give yourself the tools to be able to! 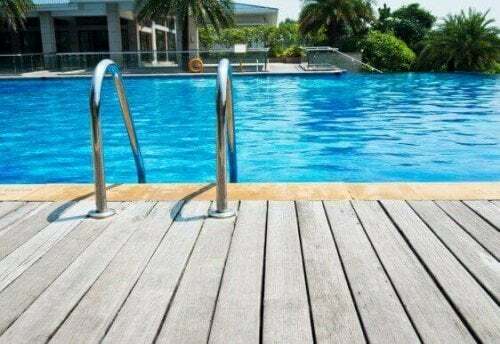 To give it a more natural look, you should install an inground pool in the backyard and put sand around the edges to make it look like a real beach. The main goal is for it to look realistic, like an actual beach but smaller. Get beach sand and put it around the pool. You’ll need a lot, because it will probably shift around and some parts will end up with more sand than others. Try to distribute it as evenly as possible. Make one of the sandy areas wider so you can lay in it. Right on the edge of that is where the grass will be, which makes for a nice contrast in color and texture. Make sure you don’t get sand in the pool. It’s hard to get out and you could end up with particles on the floor and surface. You should try to find a good water filtration system to help you prevent this from happening. Oh, and don’t just go off of our list. You can put anything you want in your private backyard beach! The main thing is to keep it clean and protect it in the winter (especially sand, because it might start to shift and wear away). There are some other great things you can put in to add to the feeling of a peaceful oasis. This includes things like plants and some other artificial decorative elements. For example, you could plant palm trees or fruit trees in the grass. Best of all, that will give you more shade! You could also put some planters or flower garden areas in the corners. Doing that will give the space some color and life. 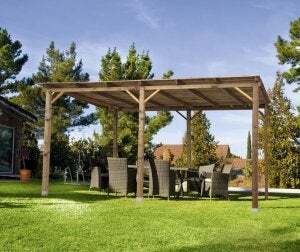 We’ve always liked the idea of installing a pergola in the backyard to give yourself a shady space to relax in or have meals. 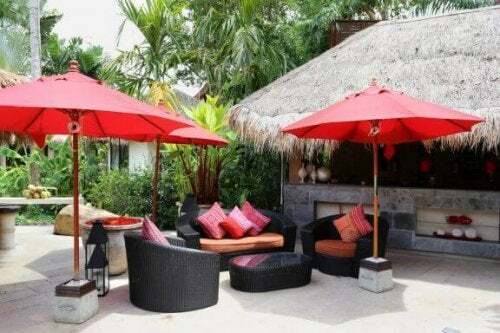 Lastly, you can pick out some nice chairs and tables, lanterns for soft lighting, and a grill for special occasions. 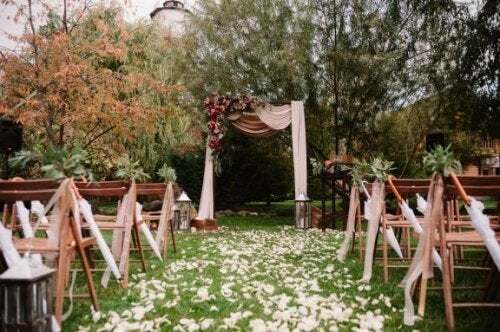 Want to Have a Fall Wedding? Read These Tips! What Do You Need to Install a Pool?